An anonymous, yet lovely poster (ca. 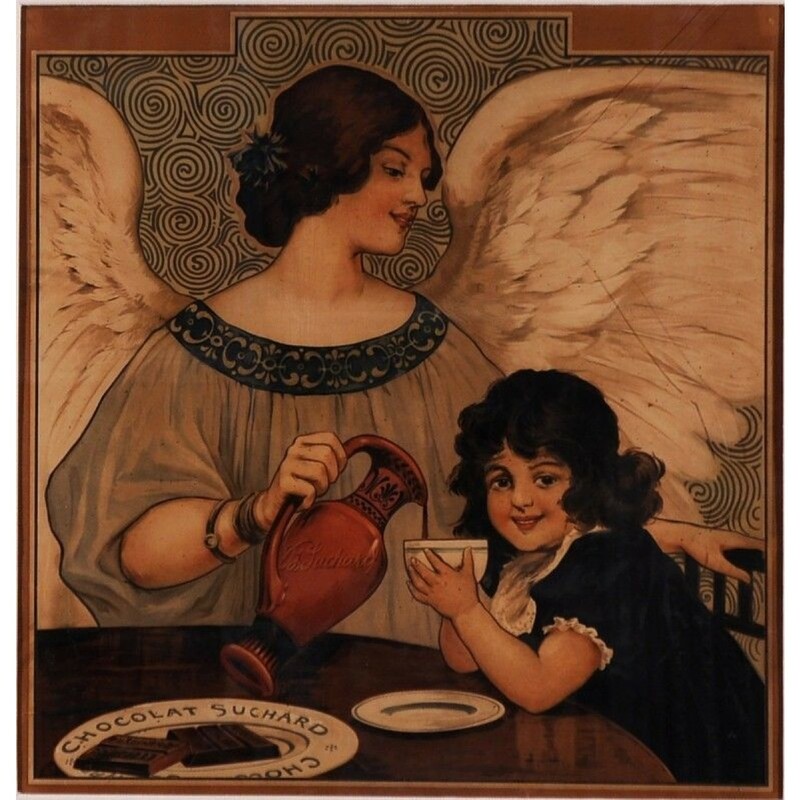 1900) for Chocolat Suchard. 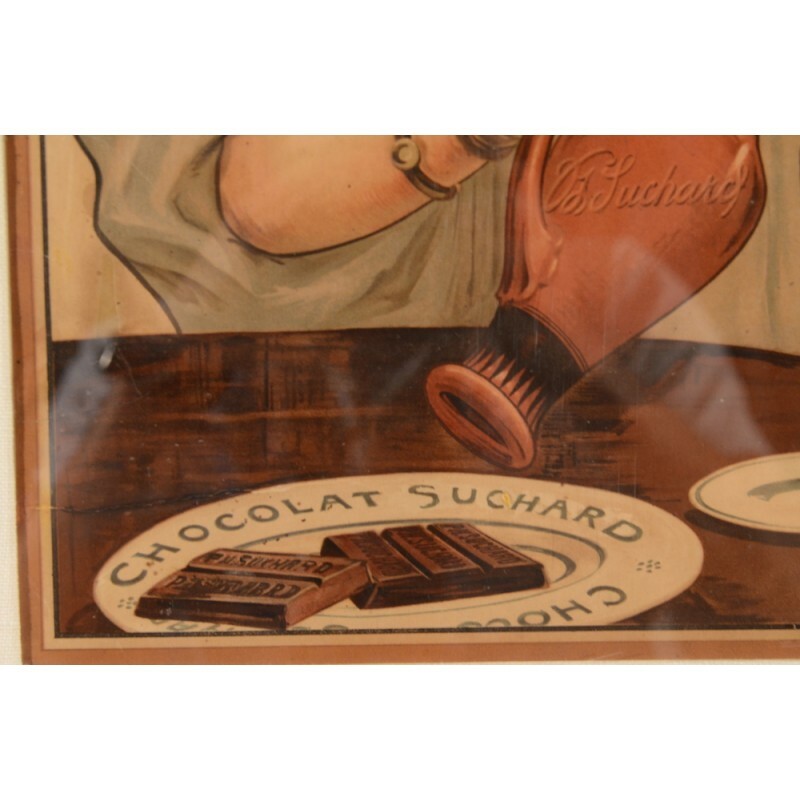 In 1826, Suchard opened the factory of Chocolat Suchard in Serrières Switzerland. He used hydropower of the nearby river to run the mills in his two-man factory. Nowadays the factory belongs to the Kraft Foods group and production has been moved to the Toblerone factory in Bern.